Maria's Space: Beastia by Zoe Cruz - What if a beauty became a beast? Beastia by Zoe Cruz - What if a beauty became a beast? The meanest of the mean girls, Rebekah Austin rules her school with sharp outfits and an even sharper tongue. She has a way of eviscerating even the most beautiful and brilliant girls in her class to maintain her cold grip on the high school social hierarchy. But underneath the queen-bee façade is someone who feels ugly, repulsive… beastly. 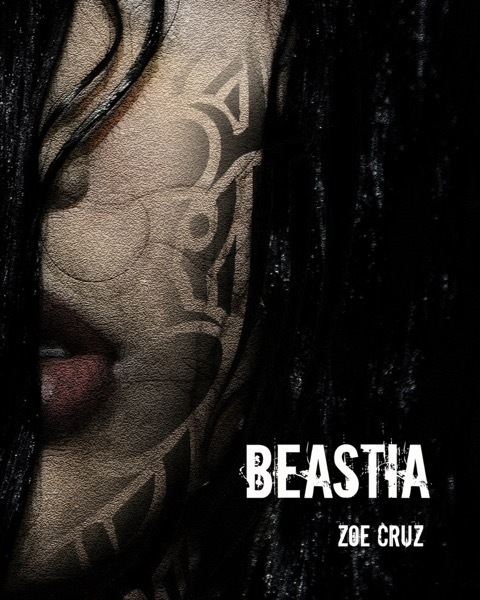 An edgy thriller from a dynamic new voice on the YA scene, Beastia by Zoe Cruz [March 17, 2017, Createspace] joins best-selling novels like Cinder and Princess of Thorns in the buzzy canon of modern fairytale retellings that explore deeper themes of the original story. More than an exploration of Beauty and the Beast, Cruz flips the script by challenging the mainstream media representation of conventionally beautiful women falling in love with not-so-attractive men (in this case, literally a beast) when the opposite is so rarely portrayed. Love and friendship aren’t exclusive to the conventionally attractive, which is a subjective standard to begin with. As Rebekah learns lessons about beauty, love and self worth, the reader finds their own assumptions and prejudices challenged. I love YA books and this was one of those books that I wished I didn't have to put down. It took me 3 days to read it but if I had some me time in my life it would have been done in an afternoon. Zoe Cruz spins a reverse Beauty and The Beast with Beastia. Rebekah, Bek, Bea, or Beastia hasn't had it easy. She has an alcoholic mother and gets kidnapped by a masochistic manic who changes her appearance and is still out there. She is untrusting of everyone and hates being touched obviously. I found myself rooting for Bea and hoping that her friendships and future romance would help her learn to trust people and let her guard down a little while also feeling Bea was getting some of her just desserts for being a school bully. The ending was exactly what I was hoping for and wish I didn't read the book so fast because I am sad it is over.